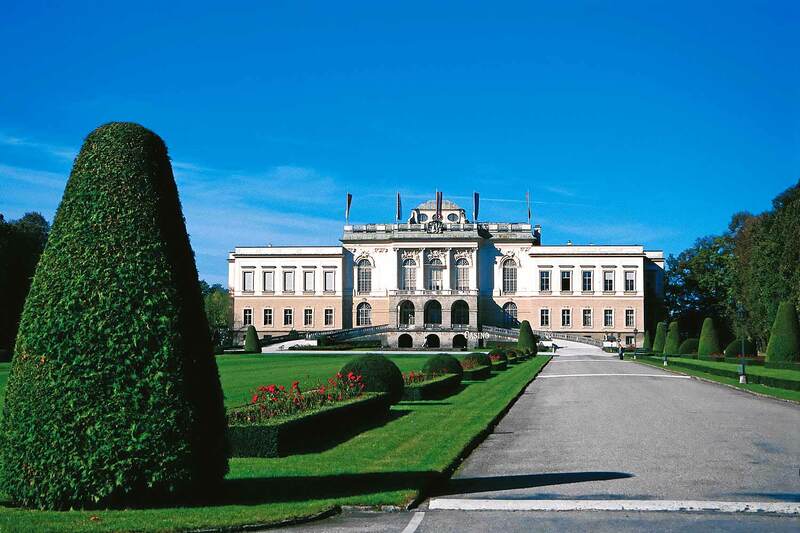 The region surrounding the town Salzburg presents you fantastic impressions in many places. You and your family will be thrilled. Not only the town Salzburg is worth a trip. Also the county Salzburg fascinates you with numerous attractions and leisure-time offers. Your best starting point for a holiday combining experiences of nature and city: the friendly non-smoker hotel Jedermann in Salzburg’s district Schallmoos, at the foot of the Kapuzinerberg. All destinations around Salzburg can easily be reached by car or by public transport – for instance, you can combine an excursion to the Salzkammergut with an entertaining Sound-of-Music tour. An overwhelming spectacle of nature: the ice cave in Werfen. Breathtaking columns and walls of ice in giant dimensions in a cave not far from Salzburg. The castle Hohenwerfen is near the cave. This adventure world offers you and your children, with its falcon show and many more events, an entertaining excursion in the middle of Salzburg’s Alps. Especially your children will have a lot of fun in the salt worlds Bad Dürrnberg. But you, too, can explore the old galleries and discover interesting findings. The history of salt mining will be explained to you in detail in this mine. The zoo of Salzburg is situated in a fantastic place in front of a rock wall near the castle Hellbrunn. Take a walk through the zoo’s various habitats and experience far-away countries in the county of Salzburg. 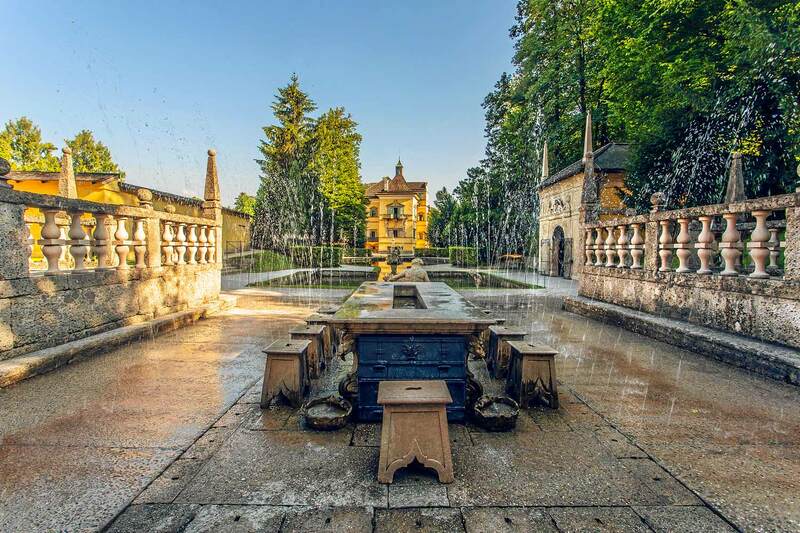 The “water games” in the garden of the castle Hellbrunn have been a pleasure for old and young almost for 400 years. In the centre of this jewel of a renaissance architecture, you will be impressed by the artful way with which the former constructors directed and re-directed water to move figures and for playful activities. The Salzkammergut with its 72 lakes is a special attraction for those who seek relaxation. Experience one of Austria’s most beautiful regions. You will discover friendly little towns and castles nestling between the mountains. The county Salzburg offers the right answers for every requirement. With the Hotel Jedermann as your starting point, you can reach your destination for a one-day trip easily and fast.